graduates of business administration or other business-related disciplines. The Master in International Business and Management programme is a 18 month full-time postgraduate programme for graduates of business-related disciplines. 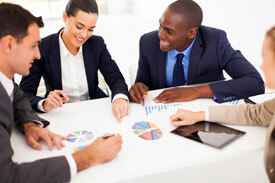 The programme challenges students to apply business management theory to current international business practice. It prepares graduates for international management positions by focusing on corporate strategy, marketing, operations, accounting and human resource management, all from an international business perspective. This programme is designed for students with a wide interest in international business and management, who are aiming at a management position. 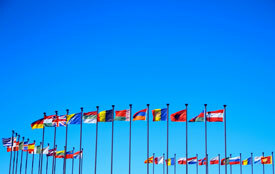 All subjects and modules are placed in an international context. The demands placed upon the manager are subject to increasing changes, which arise from the changes that take place in the international business environment and usually effects all business operations. During the master's programme you will apply business and management theories to current international business practice. The programme provides the perfect preparation for a successful career in international business. There is a strong focus on the key professional skills of intercultural communication, creative thinking, personal development and leadership. It prepares ambitious graduates for international management and consulting positions in, for example, the areas of marketing, HRM, supply chain management and finance and accounting. The programme challenges you to apply business and management theories to current international business practice. To prepare you for a career in international business you experience a strong focus on the key professional skills of intercultural communication, creative thinking, personal development and leadership. Master of Business Administration (MBA) from Hanze University of Applied Sciences, Groningen. 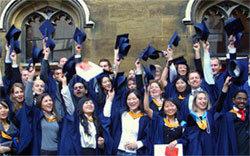 Master of Science in International Business (MSc) from Anglia Ruskin University, Cambridge. The third semester is focused on conducting research within a relevant international business setting. This could also be linked to setting up your own company. Our graduates are located around the world and can be found in companies and organisations of all sizes, from consultancies and start-ups to large multinationals. Popular areas of activity amongst alumni are business development, project management, finance and accounting and sales and marketing. In addition, many alumni have established their own company or consultancy or have top management positions. The research confirmed that an IBS graduate can forge a successful career and has a high value within both the job market and society as a whole. Among the array of global companies listed in the research, IBS alumni are employed by Deloitte, Google, Philips and Unilever.